A stunning horticultural tribute explores the world of the Brazilian modernist and his contributions to plant discovery, conservation, and garden design. Discover the fascinating life of Roberto Burle Marx (1909–94), one of the most influential landscape architects of the 20th century. This first-ever large-scale horticultural tribute features immersive garden designs as well as a curated gallery of his paintings, prints, drawings, and textiles. Discover the deep connections between his art and his commitment to environmental conservation in his native Brazil; and experience his boldly modern and vibrantly colorful landscape designs. Installations at the Enid A. Haupt Conservatory will be designed by contemporary landscape architect Raymond Jungles, FASLA, who was a protégé of Burle Marx. Burle Marx’s art and garden lifestyle philosophy will be examined in the Library Building, including an art exhibition curated by Edward J. Sullivan, Ph.D., the Helen Gould Shepard Professor of the History of Art and Deputy Director, Institute of Fine Arts, New York University. In the Britton Science Gallery, an installation focusing on botany and conservation will explore plants of particular ethnobotanical and economic importance in Brazil, Burle Marx’s own botanical study of Brazilian plants, and the work of NYBG’s scientists in the region. Your day starts with a pick up at Colonial Nursery with morning coffee & pastries on the bus. We head to the Bronx & the New York Botanical Garden. On arrival at the garden, take a private guided tour through the Burle Marx exhibit followed by lunch in the garden's historic Stone Mill. The remainder of the afternoon is yours to enjoy the gardens in lush summer bloom. Please note there is quite a bit of walking on this trip - you can expect to be on your feet for a couple of hours at a time with limited seating. If you are concerned whether this trip is for you, please give me a call on 908.512.0600 to discuss. Includes: Kirsty Dougherty as your host for the day; transportation on luxury Academy bus with restroom, wifi & power outlets; driver tip; admission to NYBG; private guided tour of the Burle Marx exhibition tour; lunch in the Stone Mill in the botanical gardens; destination talk on the ride there; morning coffee & pastries; bottled water. 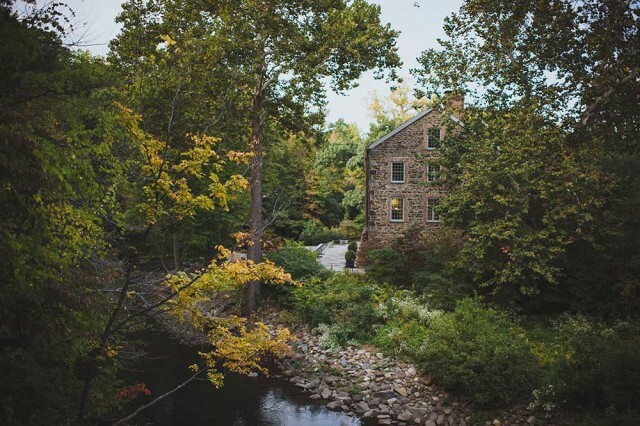 ENJOY LUNCH IN THE HISTORIC STONE MILL Built in 1840, this designated New York City, and, National Historic Landmark, is a gem of the Botanical Gardens. The rushing waters of the Bronx River once powered this mill, the last of three along the river used by the P. Lorillard Company, the first to produce a finished tobacco product in America. The mill was used to grind tobacco into snuff until about 1870 when the company moved to New Jersey and the stone structure was abandoned. In 1937 it was officially acquired by the Garden. In 2010 the building was restored to maintain its mid-19th-century industrial character. Lunch includes a choice of salad/sandwich, Whole fruit, Potato chips,Freshly baked chocolate chip cookie, bottled water. Please indicate your lunch selection along with any allergies / dietary restrictions on the booking form below. Payment is by check or cash. Checks are made out to 'Noble Garden Tours' and sent to PO Box 73, Highlands NJ 07732. Bookings are confirmed by email. Tickets are refundable up to one month prior to the tour. After this date, there is no refund on tickets if we cannot fill the spot. I will be in touch to confirm this booking. Any questions or concerns don’t hesitate to contact me on 908.512.0600.